HAPPY DONABE LIFE - Mrs. Donabe's Rustic Japanese Kitchen: Donabe Article and Naoko's Interview on NHK WORLD! Donabe Article and Naoko's Interview on NHK WORLD! 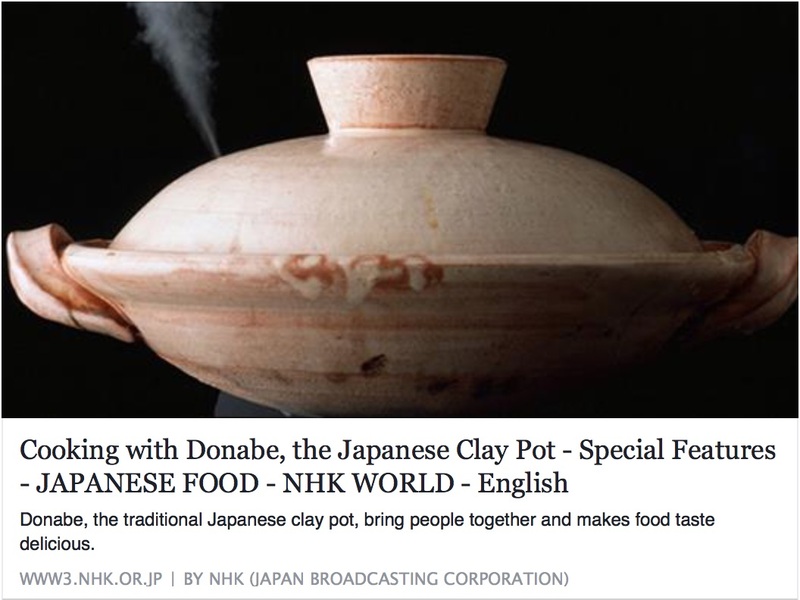 Please check out the special features about donabe cooking on NHK WORLD! It's titled, Cooking with Donabe, Japanese Clay Pot. The article covers donabe cooking (information from my DONABE Cookbook) and my interview. Thank you, NHK!